Apply for scholarships for money for college. No essay or GPA requirement to win a $1,000 scholarship for your education! Available to high school and college students, fill out the form and you will be eligible to win! 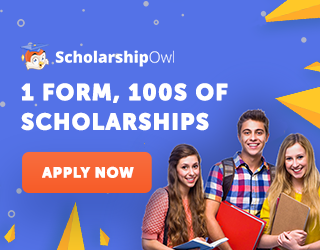 No essay or GPA minimum is required for this scholarship awarded by ScholarshipOwl. Available to both high school and college students. The scholarship is awarded monthly.